All I really wanted was to be told I am a Jigglypuff. Fine. There is an Hermes bracelet, a pebble ice cube maker and a French bulldog puppy I have my eye on. But, in terms of the reasonable, please-deliver-this-to-me-today wishes, Jigglypuff didn’t seem too much to ask for. I wanted that “What Pokemon are you?” quiz to tell me what I already knew deep down. Plus – I am a master at manipulating quizzes designed to tell me something about myself. Please. I live in this head 24-7 – there is no way you can outsmart this chick with your not-so-cleverly-designed multiple choice answers. I knew I was in over my head the minute the quiz began. There was a feeling of anxiety welling up in my chest, the kind I usually reserve for the dark moments of the night when I imagine my husband’s untimely demise or my teenagers moving home after failing out of college. I felt my mouth open, I knew the words were coming out and I was powerless to stop them. And there it was. A knowledge deeper than the wrinkle between my eyes. The cold, hard fact I simply could no longer avoid…I am getting pretty old. Like old enough that pop culture is beginning to escape me. The “I’m losing touch” old. As a middle school teacher for 15 years I was always “in the know”. Latest trends, music, movies, video games…I had it covered. I would snicker silently when parents seemed exasperated and clueless about teenage obsessions. Karma is a “you know what”. And then (one of) the little voice in my head started to whisper a little louder…. 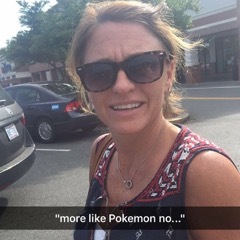 It was easier to judge than to admit my lack of understanding (ok, fine, my lack of being in touch) AND my seeming inability to grasp the nuances of Pokemon Go. I started thinking about other things I judge – things that matter far more than Pokemon Go. What else am I quickly judging out of lack of understanding? What am I far too quick to make a decision about without taking time to learn more? How close am I to saying “These kids and their damn rock n’ roll music!”? 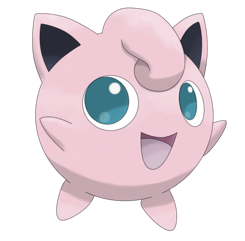 When I did finish my on-line Pokemon quiz, I was not a Jigglypuff as I had hoped and schemed to be. I was told I am basically the least desirable Pokemon. A Magikarp. Ouch. All those things that make me feel old and out of touch – like not being able to make folders on my MacBook for my documents for instance – maybe instead of being judgey and indignant, I need to do something else. I don’t see Pokemon Go being downloaded to my iPhone 6 (with the text setting on large) anytime soon. But I am willing to humble myself a little bit before declaring that these 45 hard earned years somehow set me up to cast judgement. A life lesson all wrapped up in one pitiful imaginary being. Thank you, Magikarp. Smarty Alert: It’s Time to Register for Charlotte Ballet Academy®!